If your idea of a masterpiece is a 30ft-high mural on the side of a derelict warehouse or you're just as likely to wander streets looking for cool art as you are to browse galleries, you're in the right place. 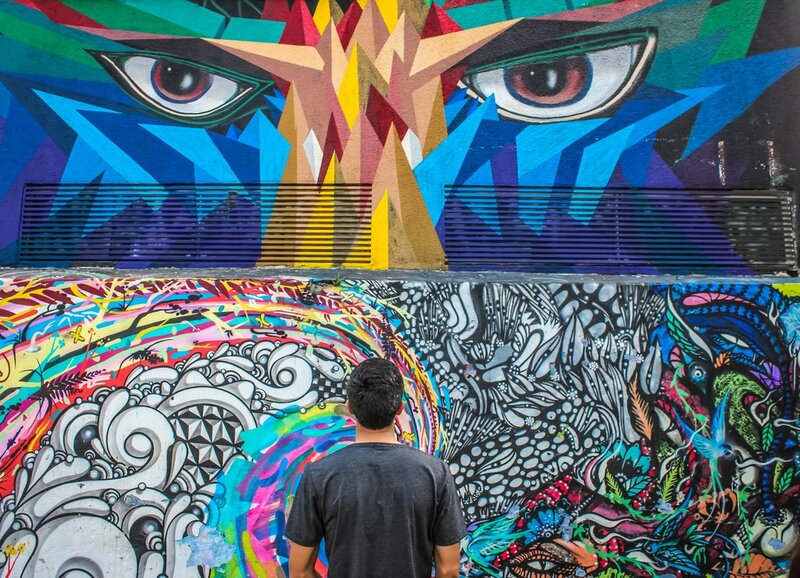 Here's our guide to where to go, what to see and where to stay for the world's best street art. There's probably no city more synonymous with street art than Berlin. If the form has a spiritual home, the German capital is it. The city is covered in art, but it's not just the prevalence that makes Berlin special - it's a hugely international, multicultural city and attracts artists from all over the world, so the diversity of its street art is impressive, from old-school graffiti to surreal paste-ups from the likes of the late Robi the Dog. Really, just about anywhere. Just explore Berlin on foot and you're never too far from something interesting. 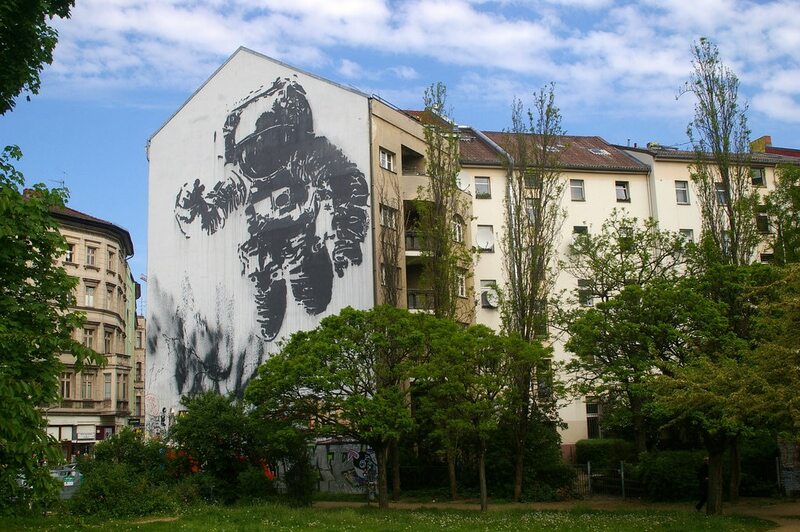 But there are a few must-sees, like Victor Ash's Astronaut Cosmonaut, so if pushed: Kreuzberg. It's Berlin's alternative centre and is covered (and we do mean covered) in graffiti. Because Kreuzberg is such a magnet for subcultures you can also find the greatest diversity here. Everything, from great big murals, like Ash's classic, to smaller-scale stencil works from local artists. Berlin attracts street artists from all over the world pretty much all the time, so around the city you can expect an eclectic mix - check out the famous mural by the Brazilian Os Gemeos twins on Oppelner Strasse. Kreuzberg, though, is notable for its prevalence of politically-charged works. Hotel the YARD is very much design-first, though it's admittedly more minimalist chic than anarchic hipster. Hotel Vier Jahreszeiten Berlin City is also well placed for exploring Kreuzberg's nightlife. Australia's undisputed cultural hub, Melbourne has long had a thriving arts scene, from the fine exhibitions of the historic NGV to the explosive art-punk of gothic legends The Birthday Party. 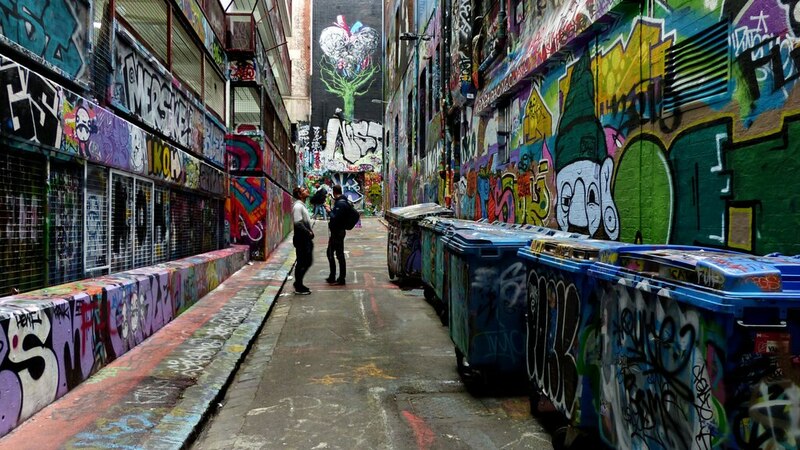 These days street art forms a big part of Melbourne's cultural life, and a day spent wandering in search of Australia's best examples is a day well-spent. The city is known for stencil art, but these days you're just as likely to see massive murals in areas all over Melbourne. Fitzroy is the centre of Melbourne's street art universe and is the best place to find artworks. In fact, you can't really avoid them - Fitzroy's eclectic abundance of street art is a big part of the reason nearly every guidebook and travel write-up describes the neighbourhood as 'grungy', 'hip', or 'creative'. We won't argue with those assessments. Head to Blender Studios in the CBD for a street art tour guided by artists themselves. Walls by Ghostpatrol (aka David Booth), which explore the kind of rambling doodle scenes that have become popular on craft beer packaging, only his art often has a floaty sense of movement that copycats tend to lack. Head to Napier Street just north of Fitzroy Town Hall to go in search of amazing examples of street art. Around the same area you also can find works by Kaff-eine, who has worked around the world. District Fitzroy puts you in the heart of Fitzroy just off Napier and Johnston Streets, while Alston Apartments Hotel also gives you self-catering accommodation in nearby Carlton by busy Lygon Street (Melbourne's Little Italy). There's a healthy graffiti scene and hip-hop culture throughout Latin America, but it's most evident in São Paulo. The street art scene in Brazil's largest city has caused controversy and come under threat, so now is as good a time as any to get over there and see it. Easy answer: Beco do Batman (Batman Alley) in Vila Madalena - it's near Rua Gonçalo Afonso. This famous area is the best-known hotspot in São Paulo and is a real living, outdoor gallery. Some pretty forward-thinking stuff. There's plenty of old-school writing around, but you'll see everything from the socially conscious to the beautiful to the downright weird. Local artists include Alexandre Orion, who pioneered reverse graffiti when he turned the soot on a road tunnel wall as his medium, cleaning it selectively to produce the epic 2006 artwork Ossário. If you're looking to go budget, Hostel Brasil Boutique is a fun, modern option with both dorms and private rooms near Batman Alley. Nearby Golden Tower Sao Paulo Hotel is more upmarket. Incidentally, if you're keen to see some of the best and most impressive work from Brazil's finest, you don't have to go all the way to Brazil. Os Gemeos, along with artists Nunca and Nina, covered the whole of Kelburn Castle in Scotland with graffiti in 2007 (don't worry - they were invited by the Earl of Glasgow), turning it into a crazy psychedelic manor - try the nearby Waterside Hotel for a visit. Famously Banksy's home, Bristol is far more than a one-horse town, and has made an entire industry from street art. The city's pedigree is strong, with its underground scene seeing a 90s heyday as it gave the world trip hop. Stokes Croft is the heart of all things edgy in Bristol, but you'll also find some Banksy work in Easton, along with an interesting mix of work from other artists. The city's M Shed museum also runs a street art walk. Well, Banksy, of course. However, as we hinted, there's more than Banksy stencils to see. In fact, the city authorities and artists have been working together on legal walls following a crackdown on waste and vandalism. You can find a range of styles all over the city. Hampton by Hilton Bristol City Centre is, naturally, centrally located and just south of Stokes Croft, while Novotel Bristol Centre is near Temple Meads - handy if you're getting the train here. The Future Inn Bristol is located in the city centre next to Cabot Circus - Bristols newest shopping centre - close to the business district and within walking distance of nearby attractions such as Bristol Hippodrome - Explore at Bristol - Brunel SS Great Britain. Comfortable - spacious - air-conditioned bedrooms are of an exceptional standard. Free parking - TV internet access - local calls are included. Free WiFi in public areas. The Chophouse Restaurant and Bar provides wining and dining facilities onsite. Located in Bristol Floating Harbour, this romantic hotel is within a 5-minute walk of Queen Square, Bristol Theatre Royal, and Bristol Hippodrome Theatre. At-Bristol and St. Mary Redcliffe Church are also within 10 minutes. Located in Bristol Floating Harbour, this spa hotel is within a 10-minute walk of St. Mary Redcliffe Church, Queen Square, and Bristol Theatre Royal. Bristol Hippodrome Theatre and St. Peters Church are also within 15 minutes. Located in Bristol Floating Harbour, this hotel is within a 15-minute walk of St. Mary Redcliffe Church, St. Peters Church, and Queen Square. Bristol Theatre Royal and Broadmead Shopping Centre are also within 15 minutes. Marriott Bristol City Centre is a 5-minute walk from Cabot Circus Shopping Centre, which houses over 120 stores and the 13-screen Cinema de Lux. Guests can walk 20 minutes to the harbor’s restaurants, bars, and amusements, and the same distance to the Bristol Museum and Art Gallery. Located in Bristol Floating Harbour, this hotel is steps from St Nicholas Market and Bristol Theatre Royal. St. Peters Church and Queen Square are also within 10 minutes. Located in Bristol Floating Harbour, this hotel is within a 15-minute walk of St. Mary Redcliffe Church, Cabot Circus Shopping Centre, and Broadmead Shopping Centre. St. Peters Church and The Galleries Shopping Centre are also within 15 minutes. Located in Bristol Floating Harbour, this eco-friendly hotel is steps from Watershed and Bristol Hippodrome Theatre. Bristol Theatre Royal and Queen Square are also within 5 minutes. This hotel may place an authorization for credit cards for any bookings where payment for the stay will be made on site instead of at the time of booking. For more details, please contact the office using the information on the reservation confirmation received after booking. Located in Filton, this hotel is within 6 mi (10 km) of Blaise Castle, Bristol Zoo, and The Mall at Cribbs Causeway. BBC Bristol and Showcase Cinema De Lux are also within 6 mi (10 km). Located in Bristol Floating Harbour, this hotel is within a 5-minute walk of British Empire and Commonwealth Museum and St. Mary Redcliffe Church. Queen Square and Bristol Theatre Royal are also within 15 minutes. Located in Bristol Floating Harbour, this hotel is within a 15-minute walk of St. Mary Redcliffe Church, Queen Square, and Bristol Theatre Royal. St. Peters Church and Cabot Circus Shopping Centre are also within 1 mi (2 km). Time spent together as a family is very precious. And Hilton knows how important it is for everyone to be happy. Hilton takes care of the little things which make all the difference, so everyone has an enjoyable, relaxing stay. Hilton makes life more fun for the kids, and easier for you! Located in Clifton, this hotel is within a 10-minute walk of Victoria Rooms and Bristol City Museum and Art Gallery. University of Bristol and Cabot Tower are also within 15 minutes.